Get bolder and ticker eyebrows with GrandeBROW. It’s an eyebrow enhancing serum that promotes fuller and thicker brows in just 6-8 weeks. 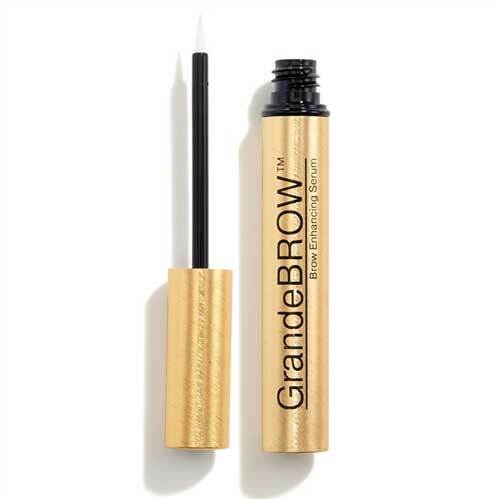 GrandeBROW serum’s contain unique blends of vitamins, antioxidants, and amino acids to condition your brow hairs for a healthy and restored look. The unique soft-tip brush is carefully designed to deliver the product to the brows sparse areas. 100% of customers experience fuller looking brows – based on a 16-week consumer perception study. Like all Grande products GrandeBROW is opthamologist and dermatologist tested and safe for use with contacts and lash extensions. Grande products are also Cruelty & Paraben Free and vegan. Talk with Molly during your next visit about the results she’s seen with GrandeBROW.